In the first all-Swiss final since 2000, Roger Federer lost to Marc Rosset. Unfortunately for the Swiss maestro, he came up short in the second Swiss duel of the century in a final. 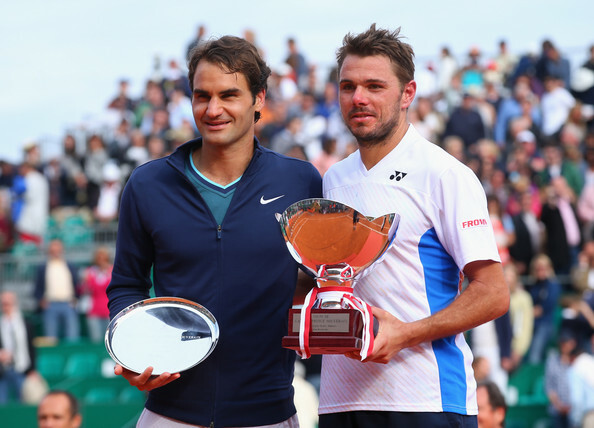 Stan Wawrinka rallied from a set down to win his first masters 1000 title, the Monte Carlo Rolex Masters. It was Federer who started off better, getting the single break necessary to serve out the opening set. The second set included an exchange of breaks, otherwise staying on serve, into a tiebreak. Wawrinka would control the tempo, making all of his first serves and dictating rallies with more powerful forehands, which led to a boost in confidence. About fifteen minutes later, he was going up a double break on the 17-time grand slam champion. After 2 hours 13 minutes, Wawrinka fired one final forehand winner, for a 4-6 7-6 (5) 6-2 victory. After winning four titles in his career, he has won three titles out of five tournaments this season. For Federer, oddly to his style, it was the third consecutive occasion in 2014 where he lost after winning the first set. Nonetheless, he adds 600 points, remaining at world #4, while compatriot Wawrinka remains firmly at world #3. The new “Big 4” now includes both Swiss men along with Rafael Nadal and Novak Djokovic.